The words "per diem" or "travel allowance" or "daily allowance" must not exist at the TTFA. In enslavement the house negroes sold out, the dictator falls in that class, he sold out our nation and it’s fans and footballers.. some players maybe even benefitted from that for a time but you don’t do business with a sell out snake.. VICE-PRESIDENT of the TT Football Association (TTFA) Ewing Davis says he was unaware of the crisis involving the men's footballers who have threatened to strike owing to unpaid match fees for over a year. Newsday contacted Davis yesterday after repeated attempts to solicit a response from TTFA president David John-Williams came up short. John-Williams did not answer calls to his cellphone yesterday. Newsday emailed him several questions pertaining to the matters of unpaid players' fees, the association's current financial standing and the burden of its numerous lawsuits being faced. He responded shortly after saying, "I am out of the country." Davis, the only VP following the resignation of Joanne Salazar in September, told Newsday, "I am not aware, so I cannot respond to that." Davis did address the impact of the last week's High Court ruling, which saw the TTFA ordered to immediately pay staff and players attached to the 2016 national men's futsal team the sum of $475,743 for unpaid match fees, salaries and per diems for their services at the CONCACAF Futsal Championships in 2016. "Lots of things that are coming to us are things that happened with Raymond Tim Kee. Mr Tim Kee made promises to people and did not deliver. However, David is in office and if this is football, then fine, but I cannot say that this could have been avoided. I don't think Raymond had spoken to us about the commitments he had to anybody." Justice Margaret Mohammed noted though that the verbal agreement between the futsal team and Tim Kee was binding, with coach Clayton Morris also indicating the team had correspondence from CONCACAF and other documents which completely legitimatised them. Davis also suggested the TTFA's ability to maintain its various national teams was dependent on its potential to generate income, adding that the financial strains on the association could see it dismantle all but two national football teams. "From where we are, we are doing everything possible to generate income, all things being equal. If that materialises, we may be in a better position to promote football the way we would like. However, FIFA says (at a minimum) only two national teams that you must have, and if we can only have two then we might have to revert to that. I can't say that yet," Davis said. He was also asked to comment on the other lawsuits dogging the TTFA, including that of former TTFA general secretary Sheldon Phillips. "As far as I remember, Raymond Tim Kee fired Sheldon Phillips," Davis said. "When we entered office, there was no Sheldon Phillips. I'm not too clear how that becomes our issue. I don't know. But I assume going into office, that whatever comes across to you...we just have to treat with it as it progresses and let's hope that good sense prevails." Wha it is ‘one shot ah babash, one kill ah brain cell’ ? "Lots of things that are coming to us are things that happened with Raymond Tim Kee. Mr Tim Kee made promises to people and did not deliver. " Quite true, but he inherited a huge mess left by you buddy Jack. Your other buddy DJW, promised he could do a better job, but he falling way short. Every elected administration has to deal with the good and bad of the previous administration. What's new? Exactly, I don't know why these amateurs can't understand the nature of running a "company" rather than their own two-bit dictatorship/enterprise. This is what's wrong with their mentality - it's all about them, who tehy promised to pay, how they get their dollar, not that they are running a company that existed before them and has obligations and debts. More questions for TTFA boss. PRESIDENT of the TT Football Association (TTFA) David John-Williams is being asked by TTFA board members to explain if he played a role in someone with no official connection to the association attending a two-day FIFA Forward workshop in Barbados last week – without the knowledge of the general secretary and membership. 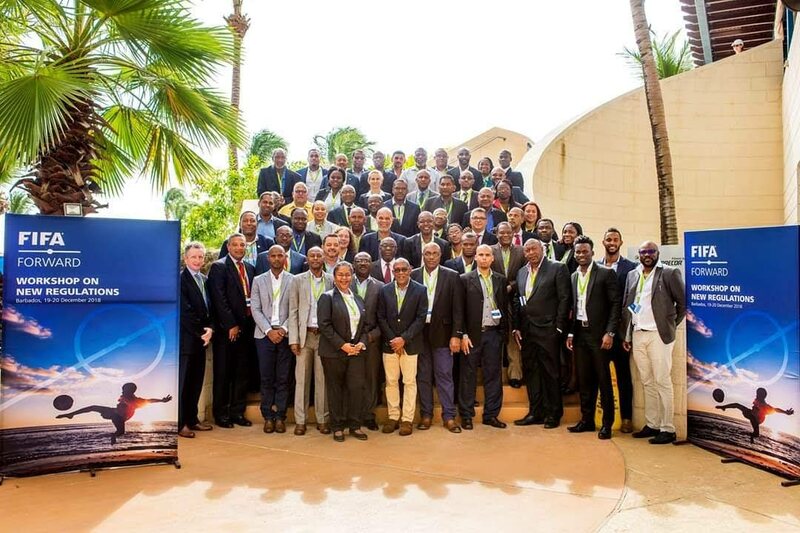 Newsday has been informed that former TT Super League general secretary Camara David posted an image to his Instagram account which appeared to show him and John-Williams alongside high ranking officials from the regional FIFA member associations at the FIFA Forward workshop. Look Loy sent John-Williams an email requesting information on TTFA’s representation at the FIFA Forward workshop. “...I am also advised by the TTFA General Secretary (Justin Latapy-George) that he never received an invitation from FIFA on behalf of TTFA, and that he did not attend. Camara David is neither an employee nor an appointed representative of TTFA and I wonder how he could have attended while the GS was officially unaware of the event,” Look Loy wrote. Newsday asked John-Williams, via email, if David represented the TTFA at the workshop. The FIFA Forward workshop is targeted to regional member association presidents, general secretaries, development officers and finance directors as it deals with funds provided by FIFA for the development of member associations. FIFA recently announced an upgrade to its Forward programme, which meant member associations would receive boost of funding from US$5 million to US$6 million at the start of 2019. Although Latapy-George’s contract expired on November 30, Trinidad and Tobago Football Referees Association vice-president Osmond Downer moved a motion at the recent AGM “that the AGM expressed satisfaction with the works of the general secretary during his tenure and exhort the president to take his into account in considering the renewal of the contract of the general secretary.” The motion was agreed to unanimously. Latapy-George continues to serve as general secretary on a daily basis, although there are questions surrounding the relationship between himself and John-Williams. In September, Latapy-George informed board members that he was instructed by John-Williams to hide former TTFA vice-president Joanne Salazar’s resignation from them. That matter stirred further controversy within the association as Salazar was presumed by some members to have been included in a vote to appoint Shawn Cooper as head coach for the women’s national team. Look Loy is demanding answers about TTFA's representation at the FIFA workshop and believes John-Williams should go if David attended under the umbrella of the TTFA. “Is this correct? Is this acceptable? Is this not further disrespect for the highest body in TTFA? The president has gone completely off the tracks and is operating like he owns the TTFA,” Look Loy said. John-Williams’ leadership of the organisation continues to invoke questions over a lack of accountability to the board, most notably his refusal to share documentation related to the nearly complete Home of Football project. More recently, he was accused for reneging on his promise to pay national men’s team footballers their per diems and match fees which remain outstanding for over a year. Newsday emailed John-Williams, while he was in Barbados, seeking his reaction to statements made by national team defender Sheldon Bateau who said there will be a player boycott if the funds are not paid in full. “I am out of the country,” he responded. Look Loy said he has raised the issue with CONCACAF. Attempts to reach the Super League official to ascertain his role and function at the seminar were unsuccessful as incoming calls to his cellphone were restricted. ... sources noted that former TTSL general secretary Camara David has been a regular presence around the football president; and was an observer at the AGM. "If people only knew the truth about the state of TT football and the TTFA I can almost guarantee you that their perception will change drastically. Unfortunately the media publishes what they want and not necessarily the truth." Original post modified to include the source of the comments. Tell us something that we don't know already, Camara! Yuh sure yuh reading or interpreting his comment accurately? And, why should there be mystery for most (including many within the TTFA's hierarchy and among the TTFA's direct stakeholders) yet apparently insightful transparency for Camara David? There is more in this mortar than the supposed Trumpian pestle of the media spouting fake news (aka untruths). It reads like the "I belong, I am privy" propaganda of a youthful inductee to the Order of the Dark Arts. It seems easy enough to guide us away from the alleged misrepresentations of the media and into the light, ent? Attempt to specify what we are missing, maybe? TT is controlled... we are not an economic power, nor is any Caribbean state, it’s decided who qualifies for the wc, this could be reversed if our football admins chose the high road, none have, Tim kee at least gave Hart control, however funding was the issue then and should never be..
Point is.. whatever we missing and whatever is the truth..the football is mismanaged. Players at all levels, not want to play, and even if they do, not being successful. Irregardless of whatever is reported, the responsibility of the TTFA and mandate is not to build a football stadium, but to promote, encourage, develop and maintain football in the country. If one regular member of the National team not happy, then something might be wrong. If teams, staff and board complaining, then the administration have failed, and that is the only standing fact, no other words from media or ppl will change that truth. asylum, I had no intentions of sticking pins and needles into Camara. But the statement saying if people knew the TRUTH about TT football, etc, etc. Are you for real. From JW, Tim Kee, to DJW ...... what is there that we don't know already, will change our perception of football in TT. If he knows something that would change our perpection, then lay it out on the table. Don't leave us in suspense. Also no intention of sticking him with any piercing objects other than the truth. 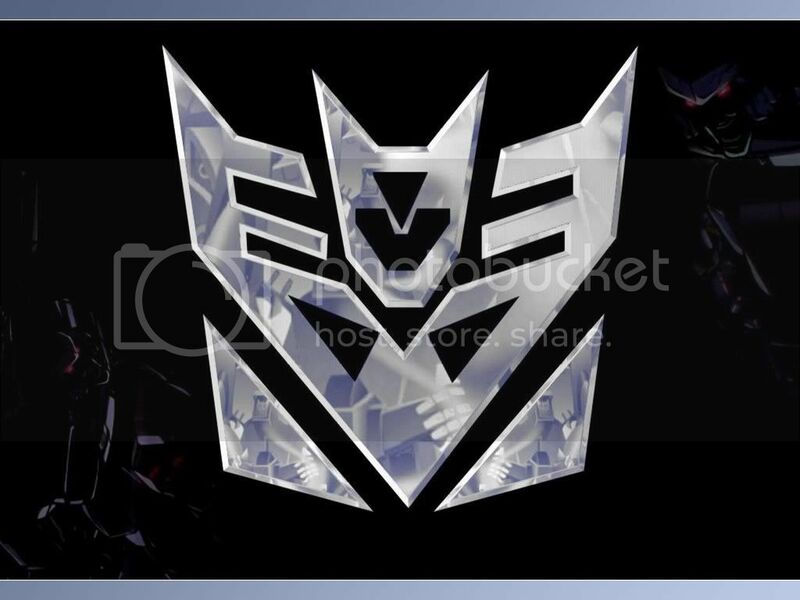 However, having transformed himself into a public figure, he is accountable for his pronouncements. Since highlighting his comment, I see that Lasana has asked questions of him. What was the aim of his comment, if not to engage the public? Will say this doh, "skillful" fella to have transitioned from Look Loy's right hand man to DJW's right hand man. That says it right there. He is in DJW pocket. What the frig does he and DJW know that will change our perception and be on their side. I personally eh buying anything coming out of the mouth of DJW and his associates. That is how I feel. You don’t even have to buy,the count Jackula was ole school ‘ticket or leave it’. Tha fella not giving choice, he and his ppl dun take yuh money and doh wha they want. New school horror, Alien cross with Predator. Technology without conscience. Ah lil bite was joke, besides Jackie carry allyuh W C. Presidator might carry we back to the Savannah. "The TTFA would like to use this opportunity to extend our gratitude to you for your commitment, patience and support towards building, developing and promoting football in 2018. 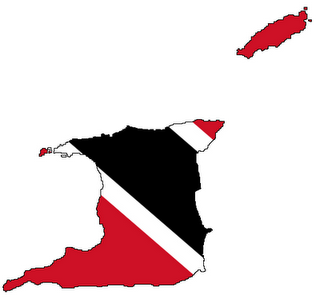 We now look forward to a fruitful and exciting 2019 year for Trinidad and Tobago Football. "The TTFA will celebrate its 111th anniversary this year and looks ahead to the highly anticipated opening of the Home of Football and the Sports and Entertainment Centre projects. Both projects were made possible through FIFA’s Forward Programme and the support of the Government of Trinidad and Tobago who provided the all-important lands to facilitate these projects." John-Williams: Big plans for 2019. No mention of women’s programmes. PRESIDENT of the TT Football Association (TTFA) David John-Williams says football fans have “a lot more football to look forward to” this year. Among the list of 2019 highlights to expect are the opening of the Home of Football, a “host of top class international friendlies” for the men’s national team and the start of the Concacaf Nations League. He said, “The TTFA would like to use this opportunity to extend our gratitude to you for your commitment, patience and support towards building, developing and promoting football in 2018. We now look forward to a fruitful and exciting 2019 year for T&T football. John-Williams also listed international friendlies lined up for the men’s national team in preparation for the 2019 Concacaf Gold Cup in July. Among those friendlies for the men’s team is a meeting with Wales scheduled for March 20 in Wrexham. He also noted T&T’s challenge of the inaugural Concacaf Nations League in September, the start of qualification for Qatar 2022, and the NLCB Elite youth teams who have a number of friendly and competitive matches throughout 2019. John-Williams did not indicate any plans for the national women’s team who endured a turbulent year of football in 2018 with controversy in the selection of a coach and the team’s insufficient preparation and lack of resources ahead of the Concacaf Women’s Championship. “Together we can shape the future of our football and leave a legacy for the next generations. We met and overcame many obstacles in 2018 and together we will continue to surmount them in the years ahead. We have no doubt made progress an an organization, demonstrating resilience that can only augur well for us going forward as we endeavour to create a self-sustainable TT Football Association. “We would once again like to acknowledge the efforts, patience and understanding of all out stakeholders from the players, coaches, match officials, administrators, referees, office staff, member associations, official partners as well as our most loyal fans,” John-Williams concluded. Is this guy for real?!!! Must be an election year. All of a sudden is a letter acknowledging fans, planning to host top class friendlies and of course opening the highly anticipated home of football. Just as Theresa May's survival of a no-confidence vote in no way means that f**kery is not afoot on Downing Street, DJW's continued existence in office is not an endorsement of success in Couva. The Trinidad and Tobago Football Association (TTFA) board will hold its first meeting of 2019 on Wednesday 20 February and it could set the tone for controversial president David John-Williams’ final nine months in office. John-Williams has held on to his own job—after a motion to remove him by FC Santa Rosa was thwarted at the AGM, two months ago—but now the posts of Men’s National Senior Team head coach Dennis Lawrence and general secretary Justin Latapy-George are at stake. Lawrence’s two year contract expired on 31 January while Latapy-George’s term ended last November. Thus far, John-Williams has suggested he wants to keep his head coach but ditch his general secretary with former Trinidad and Tobago Super League (TTSL) administrator Camara David already lined up for the latter office. Last week, Wired868 revealed exclusively that David’s name was already placed on the FIFA website as the TTFA’s general secretary, although it was since removed. Remarkably, the TTFA president is trying to get the board to renew Lawrence’s contract without even revealing what terms were offered to the the former 2006 World Cup star in the first place. There is neither a TTFA technical committee nor a technical director in place to help evaluate Lawrence’s stint either, as the former body is one of 15 standing committees left non-functional under the current administration while Anton Corneal is yet to return to work. Corneal, who returned to the post in August 2017, walked off the job in January after going unpaid for six months. Since then, John-Williams has authorised three months’ payment for the technical director but Corneal continues to insist that the TTFA meet all of its financial obligations to him. Lawrence has had a mixed spell at the helm of the Soca Warriors. Trinidad and Tobago lost six of their eight matches in the Concacaf Hex under the six foot seven coach while the team slipped from 80th to 93rd in the FIFA rankings. Overall, the Warriors won five, drew four and lost 11 matches under Lawrence with 18 goals scored and 27 conceded. However, he can point to a seismic 2-1 home win over the United States—which eliminated the North American giants from the Russia 2018 World Cup—as well as an encouraging 2-0 friendly win over the United Arab Emirates last September. At home, Trinidad and Tobago have three wins (USA, Panama and Barbados), two draws (Grenada and Guyana) and four defeats (Mexico, Jamaica, Honduras and Panama) with 10 goals scored and as many conceded. The board must decide whether that record is good enough to keep Lawrence at the helm for the 2019 Concacaf Gold Cup, or consider a new head coach. In the case of the general secretary portfolio, a constitutional crisis appears to be looming with the president insisting that the board is obliged to appoint whoever he selects for the job, although Elton Prescott SC and Trinidad and Tobago Football Referees Association (TTFRA) vice-president Osmond Downer—both framers of the TTFA constitution—disagreed. Another pressing issue is the state of the Men’s National Under-17 Team, which remains inactive with less than two months to go before the start of their Peru 2019 World Youth Cup qualifying series. John-Williams has neither confirmed nor denied rumours that the Under-17 boys can be sacrificed so that the Under-15 Team—led by W Connection head coach Stuart Charles-Fevrier—can take their place for ‘tournament experience’. Although John-Williams is yet to reveal an agenda for next week’s meeting, board member and TTSL Keith Look Loy requested that all of the aforementioned topics be put on the table along the status of the TTFA’s Audit and Compliance Committee and Home of Football and Income Generation Project. Wednesday’s conclave, which comes a month after it was constitutionally due, will also see a debut appearance by Veteran Footballers Foundation of Trinidad and Tobago (VFFOTT) president Selby Browne, whose body was awarded a board position at the AGM. Bizarrely, the TTFA’s general membership—and, in particular, the Pro League clubs—voted against a seat at the board for the Secondary Schools Football League (SSFL), although the SSFL easily has the most teams, biggest attendances and longest history of all the TTFA’s members and proved to be the only body capable of securing a million dollar sponsorship deal. John-Williams (president), Ewing Davis (vice-president), Richard Quan Chan (Southern FA), Anthony Moore (Tobago FA), Joseph Taylor (TTFRA), Sharon Warrick (Women’s League Football), Julia Baptiste (TT Pro League), Collin Partap (Central Football Association), Look Loy (TTSL), Bandele Kamau (Eastern FA), Raeshawn Mars (Northern FA), Sherwyn Dyer (Eastern Counties Football Union) and Browne (VFFOTT). John-Williams has always enjoyed the unstinting support of Davis, Quan Chan, Moore and Dyer, which accounts for five votes. But he has generally not had his way with Look Loy, Partap, Taylor, Warrick and any of the NFA’s representatives. If those 10 members remain consistent, the swing votes would come from Baptiste, Kamau and Browne. Should John-Williams convince two from that trio to see things his way, he will get the coach and general secretary he wants—even, possibly, without revealing their terms of references. Despite the obvious decline of Trinidad and Tobago’s football, both on and off the field, there is no questioning the strength of John-Williams’ canvassing, as he continues to emerge largely unscathed from meetings with the board and general membership. Next Wednesday evening at the Ato Boldon Stadium in Couva might be one of his more challenging meetings yet with high stakes again for the local game. Editor’s Note: The TTFA board meeting was moved from Tuesday 19 February to Wednesday 20 February. That change was reflected in our story from 12 February. The Trinidad and Tobago Football Association (TTFA) board will hold its first meeting of 2019 on Wednesday 20 February and it could set the tone for controversial president David John-Williams final nine months in office. John-Williams has held on to his own jobafter a motion to remove him by FC Santa Rosa was thwarted at the AGM, two months agobut now the posts of Mens National Senior Team head coach Dennis Lawrence and general secretary Justin Latapy-George are at stake. Lawrences two year contract expired on 31 January while Latapy-Georges term ended last November. Thus far, John-Williams has suggested he wants to keep his head coach but ditch his general secretary with former Trinidad and Tobago Super League (TTSL) administrator Camara David already lined up for the latter office. Last week, Wired868 revealed exclusively that Davids name was already placed on the FIFA website as the TTFAs general secretary, although it was since removed. Remarkably, the TTFA president is trying to get the board to renew Lawrences contract without even revealing what terms were offered to the the former 2006 World Cup star in the first place. There is neither a TTFA technical committee nor a technical director in place to help evaluate Lawrences stint either, as the former body is one of 15 standing committees left non-functional under the current administration while Anton Corneal is yet to return to work. Corneal, who returned to the post in August 2017, walked off the job in January after going unpaid for six months. Since then, John-Williams has authorised three months payment for the technical director but Corneal continues to insist that the TTFA meet all of its financial obligations to him. Overall, the Warriors won five, drew four and lost 11 matches under Lawrence with 18 goals scored and 27 conceded. However, he can point to a seismic 2-1 home win over the United Stateswhich eliminated the North American giants from the Russia 2018 World Cupas well as an encouraging 2-0 friendly win over the United Arab Emirates last September. In the case of the general secretary portfolio, a constitutional crisis appears to be looming with the president insisting that the board is obliged to appoint whoever he selects for the job, although Elton Prescott SC and Trinidad and Tobago Football Referees Association (TTFRA) vice-president Osmond Downerboth framers of the TTFA constitutiondisagreed. Another pressing issue is the state of the Mens National Under-17 Team, which remains inactive with less than two months to go before the start of their Peru 2019 World Youth Cup qualifying series. John-Williams has neither confirmed nor denied rumours that the Under-17 boys can be sacrificed so that the Under-15 Teamled by W Connection head coach Stuart Charles-Fevriercan take their place for tournament experience. Although John-Williams is yet to reveal an agenda for next weeks meeting, board member and TTSL Keith Look Loy requested that all of the aforementioned topics be put on the table along the status of the TTFAs Audit and Compliance Committee and Home of Football and Income Generation Project. Wednesdays conclave, which comes a month after it was constitutionally due, will also see a debut appearance by Veteran Footballers Foundation of Trinidad and Tobago (VFFOTT) president Selby Browne, whose body was awarded a board position at the AGM. Bizarrely, the TTFAs general membershipand, in particular, the Pro League clubsvoted against a seat at the board for the Secondary Schools Football League (SSFL), although the SSFL easily has the most teams, biggest attendances and longest history of all the TTFAs members and proved to be the only body capable of securing a million dollar sponsorship deal. John-Williams (president), Ewing Davis (vice-president), Richard Quan Chan (Southern FA), Anthony Moore (Tobago FA), Joseph Taylor (TTFRA), Sharon Warrick (Womens League Football), Julia Baptiste (TT Pro League), Collin Partap (Central Football Association), Look Loy (TTSL), Bandele Kamau (Eastern FA), Raeshawn Mars (Northern FA), Sherwyn Dyer (Eastern Counties Football Union) and Browne (VFFOTT). John-Williams has always enjoyed the unstinting support of Davis, Quan Chan, Moore and Dyer, which accounts for five votes. But he has generally not had his way with Look Loy, Partap, Taylor, Warrick and any of the NFAs representatives. If those 10 members remain consistent, the swing votes would come from Baptiste, Kamau and Browne. Should John-Williams convince two from that trio to see things his way, he will get the coach and general secretary he wantseven, possibly, without revealing their terms of references. Despite the obvious decline of Trinidad and Tobagos football, both on and off the field, there is no questioning the strength of John-Williams canvassing, as he continues to emerge largely unscathed from meetings with the board and general membership. Editors Note: The TTFA board meeting was moved from Tuesday 19 February to Wednesday 20 February. That change was reflected in our story from 12 February. They need to stop DJW from giving DL another contract I understand a record like that if DL was using a lot of young players giving them games to get experience but using the same old players from last campaign and getting results like that is unacceptable. Salaries will be paid- John-Williams. John-Williams made the state­ment dur­ing an in­ter­view on i95.5FM on Sat­ur­day night while speak­ing An­dre E Bap­tiste on his Is­ports pro­gramme, about the state of foot­ball in the coun­try and ad­dress­ing con­cerns dur­ing his three and a half year term so far. “How­ev­er, I am not about giv­ing up, we have a task ahead to put T&T Foot­ball back in or­der in terms of fi­nances, that is why the Home of Foot­ball is ex­treme­ly im­por­tant in that re­gard, as a rev­enue earn­ing cen­tre and we ex­pect to open this fa­cil­i­ty by the end of May," ex­plained John-Willaims.